When European sauces met Native American meat smoking and hardwoods the result was an ingestible magic. Since that time, Barbecue in America has grown to a proud national culinary tradition, treated with a friendly ferocity and pride by its millions of devotees. This book will get your foot out the door and into what you will soon discover is a diverse and engaging world with information on how to smoke meat, without spending lots of cash on a smoker, and how to make some different sauces from the various states in “the barbecue belt” (and of course how the smoke, meat, and sauce should all be working together). It’s rounded out by a few traditional side dishes and desserts that are typically served with barbecue. So if it’s ribs or chicken for the game, or maybe some pulled pork sandwiches, this book will give you what you need to get a professional taste with a beginner’s budget every time. I finished reading this book in a few days and already tried some recipes and I got very good results. There are a number of recipes and technics in the book that I still want to try, maybe next weekend. 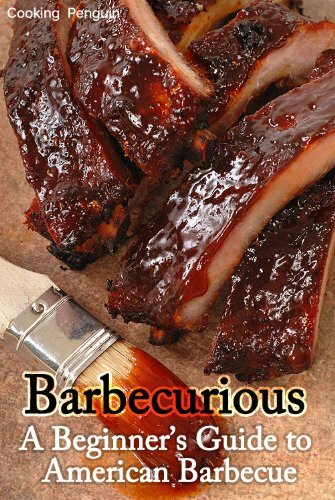 Before that I have to make this comment to let everyone know that this book is a must for barbecue and smoker cooks.